I am/have been attempting to take part in a few 'challenges' on twitter recently in the hope of both gaining and inspiring reading over the summer months. I love reading in the sun but work does inevitably drag you down in these lazy months and it can be difficult. As with exercise, you always feel so much better once you have 'broken the seal' and dived straight in (the internet is telling me that 'dived' is used correctly here but it really doesn't look right does it?). 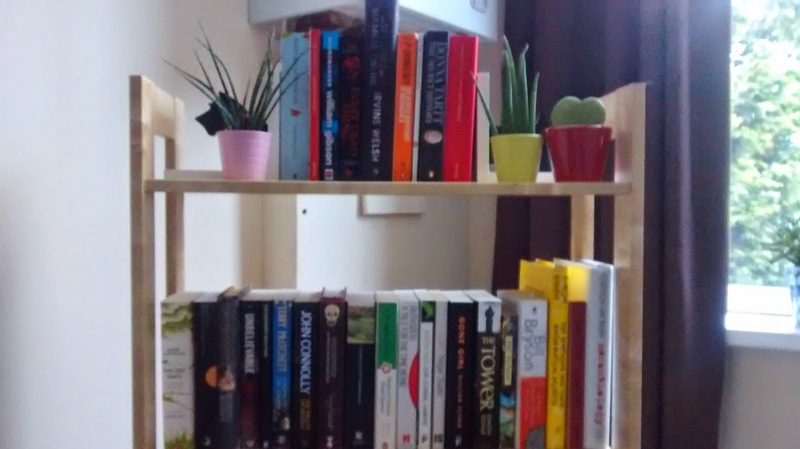 My daunting but wonderful 'to read' shelves. Soon to be diminished (and immediately replaced). Over June and July I have been taking part in #bookadayUK, where a list of questions is posted at the start of each month by a sponsored site, and we all join in everyday with our answers. I have really been enjoying this, it breaks up the monotony of work nicely and I get great inspiration from everyone else's choices. There is also a sense of community about the whole thing which I have yet to find on twitter. 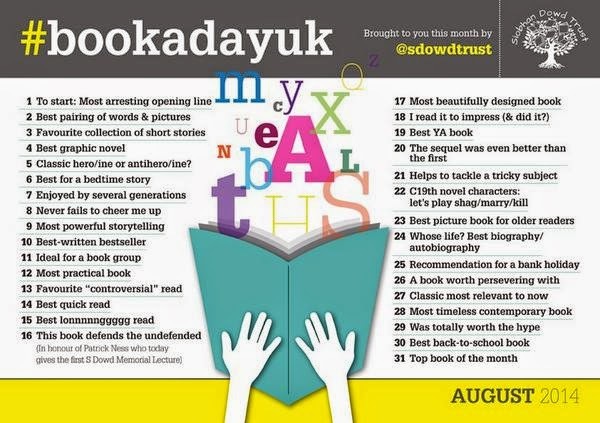 @sdowdtrust is sponsoring #bookadayUK for August, below are the upcoming daily questions. I highly recommend you all join in! I have also just dug out my most summery 'to read' books to take part in #sunathon on twitter - sponsored/created by @EmmaIsWriting. Everyone has picked out a little/less little pile of books to tackle from 21st-27th July as part of a big bad summer reading challenge. I am well up for this and have been saving 'Cider with Rosie' and 'Ring of Bright Water' especially for the summer months (which is, in the UK, Mid-July to Late August at best). If anyone knows of any more upcoming challenges they can recommend, let me know in the comments or on twitter, I am @WarmVellum.